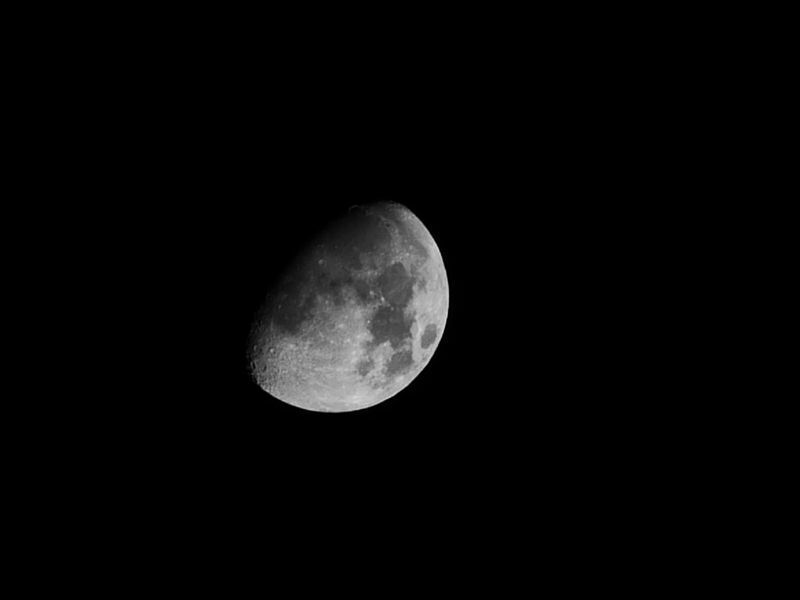 I have taken a few images of the Moon using the newly adapted Tamron 80-210 lens (120-315mm). There are no filters on the lens so using My Fuji IS Pro the images are capturing not only light within the 'Visible Spectrum' but the 'Near Infrared Spectrum'. Also the lens does not register any Metadata within the camera given there are no electronics in the lens, so settings are round about f11, 60th to 100th sec, ISO100, this first image is a JPEG amended in Elements 8.